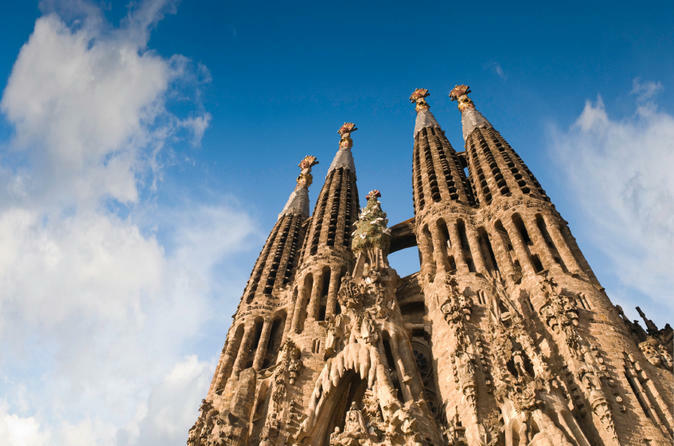 Experience the best of Spain on this 9-day tour from Madrid. See famous Park Güell in Barcelona; visit UNESCO World Heritage-listed Alhambra Palace and Generalife Gardens in Granada; tour the Great Mosque of Cordoba and Seville’s Santa Cruz Quarter and Maria Luisa Gardens; and have plenty of time in each city to explore more at your leisure. Enjoy eight overnight stays in 3- or 4-star hotels as well as several guided tours and round-trip transportation by deluxe coach. Your 9-day tour of Spain begins in Madrid, where you’ll take a sightseeing tour and have free time to explore this great city on your own. Next, drive through the legendary land of Don Quixote to Cordoba and visit the Great Mosque of Cordoba and the historical Jewish Quarter. In Seville, wander through the Santa Cruz Quarter and Maria Luisa Gardens on a guided tour and enjoy free time to sightsee at your leisure. Here, you’ll have the opportunity to take a flamenco tour! Continue to Granada, where you’ll take a guided tour of UNESCO World Heritage-listed Alhambra Palace, an impressive 14th-century royal palace and fortress complex, and its Generalife Gardens, the last stronghold of the Moorish kingdom. Discover some of Valencia’s enchanting sites and famous attractions on your own, or take an optional sightseeing tour of Valencia, and then continue your journey to Barcelona, where you'll see famous Park Güell, Montjuic, Olympic Ring and the old Gothic Quarter. Your tour includes round-trip transportation by deluxe coach, eight nights of accommodation in 3- to 4-star hotels and guided visits to many attractions. Throughout your journey, your guide will provide informative commentary on the sites and landmarks you visit. Daily breakfasts are included, and for lunch and dinner, your guide can recommend great places in the city for you to eat (own expense). For a detailed schedule of each day, see the Itinerary section below. Note: This tour begins on a Saturday, but you have the option to start the following day and thus have an extra day at the end of your tour.